From the author of Astrophysics for People in a Hurry and the host of Cosmos: A Spacetime Odyssey, a memoir about growing up and a young man's budding scientific curiosity. 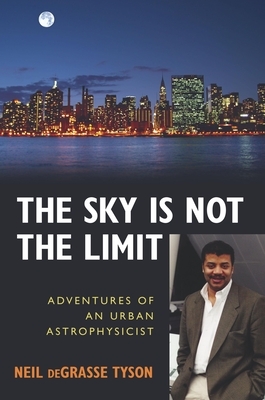 This is the absorbing story of Neil deGrasse Tyson’s lifelong fascination with the night sky, a restless wonder that began some thirty years ago on the roof of his Bronx apartment building and eventually led him to become the director of the Hayden Planetarium. A unique chronicle of a young man who at one time was both nerd and jock, Tyson’s memoir could well inspire other similarly curious youngsters to pursue their dreams. Like many athletic kids he played baseball, won medals in track and swimming, and was captain of his high school wrestling team. But at the same time he was setting up a telescope on winter nights, taking an advanced astronomy course at the Hayden Planetarium, and spending a summer vacation at an astronomy camp in the Mojave Desert. Eventually, his scientific curiosity prevailed, and he went on to graduate in physics from Harvard and to earn a Ph.D. in astrophysics from Columbia. There followed postdoctoral research at Princeton. In 1996, he became the director of the Hayden Planetarium, where some twenty-five years earlier he had been awed by the spectacular vista in the sky theater. Tyson pays tribute to the key teachers and mentors who recognized his precocious interests and abilities, and helped him succeed. He intersperses personal reminiscences with thoughts on scientific literacy, careful science vs. media hype, the possibility that a meteor could someday hit the Earth, dealing with society’s racial stereotypes, what science can and cannot say about the existence of God, and many other interesting insights about science, society, and the nature of the universe. Now available in paperback with a new preface and other additions, this engaging memoir will enlighten and inspire an appreciation of astronomy and the wonders of our universe. Neil deGrasse Tyson, an American astrophysicist, author, and science communicator, is the Frederick P. Rose Director of the Hayden Planetarium at the Rose Center for Earth and Space and a research associate in the department of astrophysics at the American Museum of Natural History. The host of Cosmos: A Spacetime Odyssey on FOX—an update to Carl Sagan's Cosmos: A Personal Voyage television series—he previously hosted NOVA ScienceNow on PBS and has been a frequent guest on The Daily Show, The Colbert Report, Real Time with Bill Maher, and Jeopardy! He is the author of Death by Black Hole and Space Chronicles, among other works. "It's easy to imagine [this] memoir inspiring young future astrophysicists--and inspiring grownups to help them out."